John Rawnsley is the Manager of the Law and Justice section at the North Australian Aboriginal Justice Agency. Prior to this he worked in various legal roles and in leadership development. John is a current Director of the PHN NT, a Director of Winkiku Rrumbangi NT Indigenous Lawyers Aboriginal Corporation and a member of the Law Council of Australia’s Indigenous Legal Issues Committee. 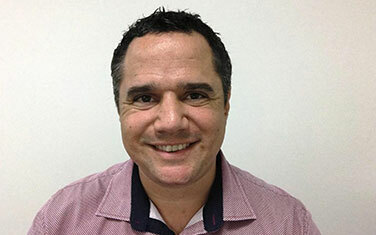 He currently chair’s the Smith Family’s Aboriginal and Torres Strait Islander Advisory Group. He has extensive board and committee experience including former Board Member for the Aboriginal Areas Protection Authority (2013 – 2015) and former Alderman of the Alice Springs Town Council (2008 – 2012, Deputy Mayor in 2009). John is from the Larrakia and Anmatjerre groups and was born and raised in Darwin attending Darwin High School and Charles Darwin University. Until aged nine he lived at Uluru and Kakadu and as an adult lived in Alice Springs for several years.